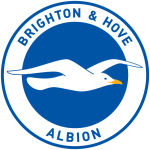 Brighton vs Derby predictions for Saturday’s FA Cup tie at the Amex Stadium. Derby hope to extend their unbeaten streak when they visit Brighton in the FA Cup 5th Round. Read on for all our free predictions and betting tips. FST’s Dean Goddard covers our Brighton vs Derby predictions and betting tips in the video below. Brighton, who enjoyed a very promising opening half of the season, have seen their fortunes turn over the last couple of months. The Seagulls fell to a dismal 3-1 loss at home to the relegation threatened Burnley last weekend to continue their worrying slide down the table. Chris Hughton’s side now sit just 3 points above the relegation zone, and their loss to Burnley made it 7 competitive games without a win in normal time. Their only perceived success during this period was a 3-1 win in extra time against West Brom, but their goalless draw at home to the Championship outfit was what put them in that situation in the first place. The 3rd round of the FA Cup saw an in form Brighton side win away to Bournemouth, but since then it’s just been a consistent downfall from the south coast side. Their usually excellent home form has disappeared into the ether, with that 3-1 loss to Burnley a new low for them after winning just 1 of their last 7 competitive games at the Amex Stadium. This is something that Derby will be looking to take advantage of. The Championship side find themselves in the midst of an excellent run of form, with their midweek draw at Ipswich making it 6 matches unbeaten in all competitions and keeping them well in the hunt for a playoff spot in the Championship. The Rams are now behind Middlesbrough on goal difference alone, and there is actually a fairly reasonable gap of just 10 points between them and the Championship leaders. A push for automatic promotion isn’t out of the question for Frank Lampard’s side here, and keeping up confidence with another FA Cup triumph would do wonders for their chances. Considering Brighton’s recent dip in form, especially at home, it’s surprising to see them so heavily favoured here. 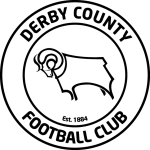 The Seagulls have won just 1 of their last 7 competitive home games, and with Derby unbeaten away from home in 4 matches we think backing a Derby Win or Draw Double Chance is a fantastic option alongside a 1-1 correct score prediction. Brighton have won just 1 of their last 7 home games in all competitions, including a draw at home to West Brom in the FA Cup 4th Round. Derby County are unbeaten in 6 games in all competitions, with 4 of those matches coming away from home. The Rams picked up a penalty victory away to Premier League opposition Southampton in the last round of the FA Cup.